Most U.S. states either do not have a death penalty at all or almost never use it. Twenty-nine states have carried out three or fewer executions in the past 30 years or have a moratorium on executions. 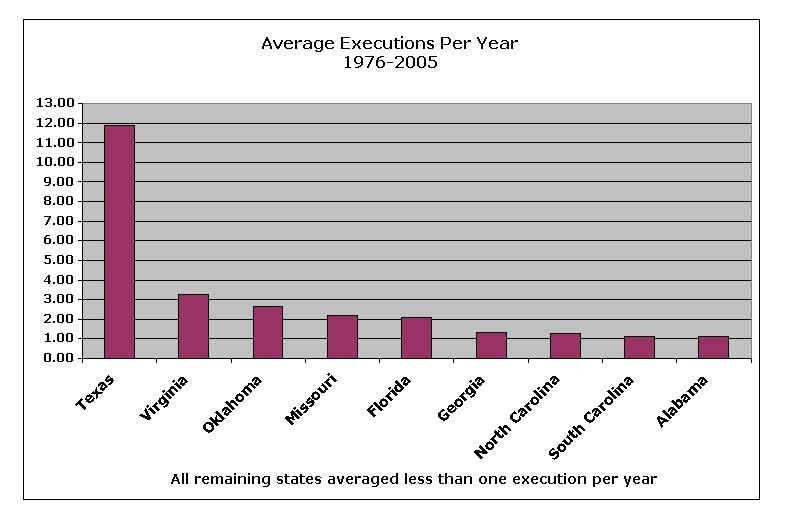 Almost all of these states carried out no more than one execution in 30 years. Only 9 states have averaged at least one execution per year since the death penalty was reinstated in 1976, and only 4 of those states (Texas, Virginia, Oklahoma, and Missouri) have averaged two or more executions per year during that time. Twelve states do not have the death penalty on their books: Alaska, Hawaii, Iowa, Maine, Massachusetts, Michigan, Minnesota, North Dakota, Rhode Island, Vermont, West Virginia and Wisconsin. In addition, the District of Columbia and Puerto Rico do not have the death penalty. Kansas, New Hampshire, New Jersey, New York and South Dakota have had no executions in the past 30 years, even though they have had a death penalty statute during at least part of that time. The same is true for the U.S. Military. Kansas’ statute was overturned by the state supreme court in 2004 and is pending review in the U.S. Supreme Court. New York’s statute was overturned in 2004. The state legislature in 2005 rejected a bill to change the law and reinstate the death penalty. Illinois has had a moratorium on all executions since 2000. New Jersey has had no executions and has a court-imposed moratorium on executions. New Hampshire has had no executions and no death sentences imposed. Idaho has had no executions in 11 years and only 1 in 30 years. Colorado has had no executions in 7 years and only 1 in 30 years. Connecticut, New Mexico, and Tennessee each had only 1 execution in 30 years. Oregon has had only 2 executions in 30 years and none in past 8 years. ; both inmates waived their appeals. Kentucky and Montana each had only 2 executions in the past 30 years. Pennsylvania has had only 3 executions in the past 30 years and all three were inmates who waived their appeals. Nebraska has had only 3 executions in the past 30 years and none in the past 7 years. Only Texas has averaged 4 or more executions per year in the past three decades. 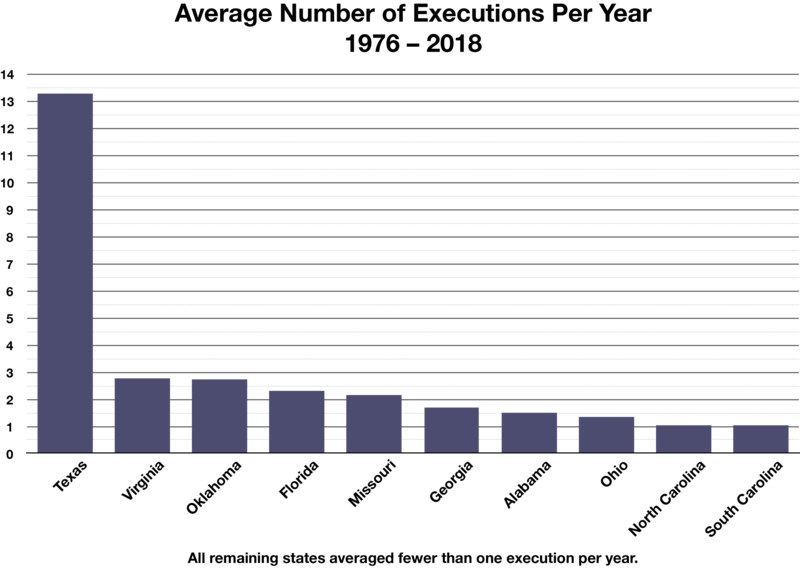 See also DPIC's 2004 Year End Report.